What is the best baby bath tub? 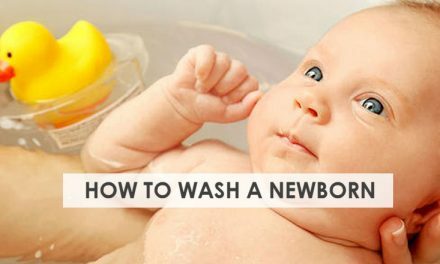 Bathing a baby for the first time can be a scary experience. They are already tiny and wriggly and now you need to add wet and slippery into the mix. A bath is part of caring for you baby, to keep that soft baby skin fresh and clean. A baby bath tub will give your little darling their very own bathing area. A well designed baby bath will not only help make bath time easier for you but also make sure your baby is comfortable and safe. If you walk into any baby store you’ll see to huge variety of baby bath tub styles. Finding the best baby bath tub for you can be confusing and time consuming. 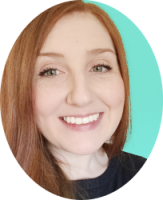 Stork Mama have creates this guide so you have all the information you need at your fingertips. This guide is huge, with a lot of information to take in. To make it easier for you to read we’ve split it up into bite size pieces. Use the menu below to jump to the information you need. Don’t forget to bookmark this page to come back and read later. Any of these baby bath tubs would be a great buy. Ultimately it will come down to your needs and personal preferences. If money is no object you will have your pick of all bath types with various features. However it’s best to suit your needs to the performance of the bath. There are some great quality baby tubs available for all budgets. The Primo Eurobath is a great classic baby tub with a simple plastic, molded design. It’s a great option if you want no frills or fuss from your baby tub. It’s suitable to use from birth up to two years old. We love the molded non-slip design to support both newborns and toddlers. It takes away that fear of you baby slipping out of your grip as you wash them. The sides can hold cloths, soaps or shampoos to keep them within reach, so you don’t need to turn away from baby. It’s also very easy to keep clean by wiping down any leftover suds. The biggest downside we found with this baby tub was its size. It can hold a lot of water, which makes it very heavy to carry. We would recommend using this inside a bigger tub of filling with jugs of water. Storage may also be a problem as it will take up a lot of room. The First Years Sure Comfort is the bestselling baby tub on the market. Its award winning and highly rated by moms. It comes with a standard contoured bath tub and mesh sling attached. This design makes it very easy to use for newborns, older babies and toddlers. The sling is used to support your new-born whilst you wash over the tub. The contoured tub will support your baby into reclining and seated positions as they grow. Unlike standard baby baths the plastic is coated with a soft non slip, foam pad for baby’s comfort. You can even fit the bath into a large sink to save you back. Once you’re finished undo the temperature sensing plug for easy draining. What we love most about this bath is the cost. You’d think with deluxe in the name it will be expensive, but you can pick this baby bath up for under $20. An absolute steal. 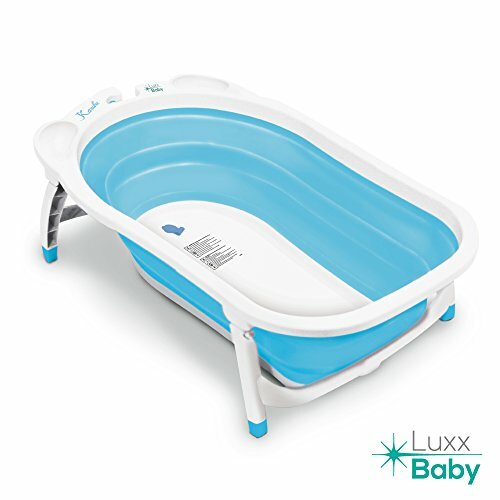 If you need a baby bath which is easy to store then check out the Luxx Baby Karibu tub. You can fold it flat and even hang it up to drip dry when not in use. The sides are made from a soft rubber to help it collapse, but are also soft and comfortable for baby in the water. The legs are very sturdy and can be folded inwards. This bath is very easy to clean as it has a flat surface without contours. It also comes with a cute little bath mat to prevent baby from slipping in the water. For extra safety the drain plug double as a temperature indicator for safe water temperature. The biggest downside when found with this tub was that there was very little support for young babies. Supporting baby yourself can cause back and arm strain so we recommend using with a cushion or support seat. You will love the Blooming Baby bath as an alternative to a tub. 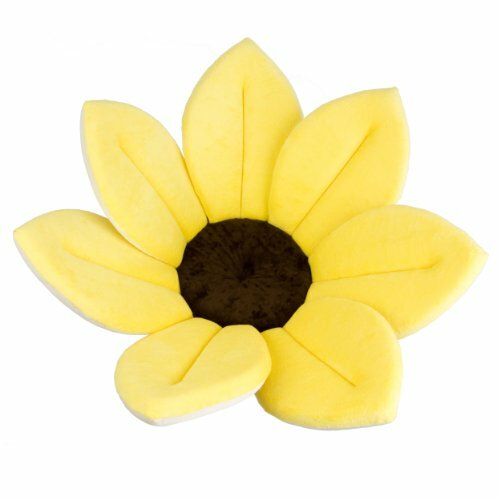 It’s shaped like a giant sunflower with petals to cradle your baby. It will shape to fit into almost any sink and make your baby comfortable with the soft padding. It also helps you provide a safe and supported bath, especially for newborns. We can’t help mention that your child will look absolutely adorable sitting in it. It will save to a lot of space, especially if you have a small house. When it’s not in use you can use it as a play mat for tummy time for baby. Plus it’s really easy to clean and can even be machine washed and dried. The biggest drawback of this bath is that your get only a few months of use for your money. However as we’ve already suggested it can be used for baby play time when you cannot longer use it to bath baby. If you want your baby to feel like they never left your womb then check out the Tummy Tub. It’s an oval shaped bucket which allows baby to have an upright bath time. It’s suitable to use from birth as you support baby’s back and head. The idea is for baby to feel safe and relaxed at bath time due to the fetal position. You can use this tub anywhere, including in the sink to save bending. This tub uses very small amounts of water. It’s great for saving energy and if you live in states which sometimes have water restrictions. It’s durable and easy to clean and store. We find this tub is a little expensive for what is essentially a curved bucket. It does have a longer age range than other bathing buckets. If you’re a fan of tech gadgets then the 4moms Cleanwater tub is perfect for you. It’s designed so the water flows and your baby is constantly bathed in fresh, clean water. Before the water even reaches baby it passes through a nifty digital thermometer. You will be alerted by a color code if the water is too cold (blue), too hot (red) or just right (green). The inside of the bath is contoured with a foam back. This offer baby both comfort and support for easier bathing. You can also choose how deep the bath fills by opening the appropriate circulating drain. The biggest downside we found was that you need a decent size sink for it to fit well. The measurements are 32 x 17 x 9 inches so check your sinks before buying. The Leachco Flipper is a great way to make you own bathtub safe for baby. It is designed with a cushioned outer edge with a sling center. One side is suitable to use for newborns as it provides soft support in a reclining position. The other side is deeper so a toddler can sit upright with ‘bumper’ protection from slipping. The cushion doesn’t hold water, it simple absorbs the regular bath water, providing a smaller are of support for baby. It’s a great way to get your baby to associate bath time with your own tub to ease the transition as they grow. Do note that this bath cushion gets very heavy once it’s soaked. To avoid mildew it should be rinsed with clean water before wringing out and hanging to dry in a well ventilated area. It can also be machine washed on a hand wash setting and dried on a low heat. 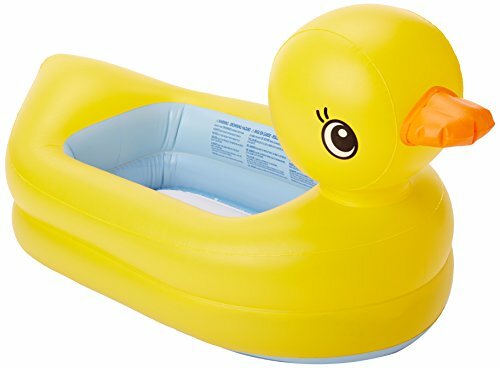 If you want a great performing inflatable baby tub opt for the Munchkin White Hot Duck Tub. This type of tub is designed for infrequent use, such as staying over at grandparents or traveling. As it’s not an everyday bath we won’t hold it to the same standards as one which is. You’ll need to add air to this tub for it to give your baby support. It’s rather large, so using your mouth may leave you feeling like you’re going to pass out. Use an air pump and get the job done quickly. It’s soft and comfortable for little ones and the textured surface prevent them from slipping around. We love the temperature dot which show if the water is too hot (white) or just right (blue). It can be used as a mini play area for baby, or using in a pool or at the beach. Fixed – The tub stays in a fixed position. This offers stability and room for baby. This type can be difficult to store s they take up a lot of room. Convertible – This type comes with a few parts so it adapts as baby grows. A sling is used to support newborns, and contoured bath tub supports babies and toddlers. These save money as can use from birth until baby is able to use your regular bath. Folding – This tub fold down for easy storage. It’s great if you don’t have much room for storage. Sink Insert – Sinks are perfect for washing small babies as they are virtually mini tubs. To make bathing more comfortable for baby you can use a plastic or fabric sink insert. This will also offer baby support whilst you wash them down. Inflatable – Simply inflate to use and deflate to store. These tubs are really simple to use and great for on the go use. Although they are not durable for everyday use. Cushion – Use in a regular tub to offer a support for baby in the water. It will absorb the water and allow baby to recline in comfort. The enclosed space prevent slipping or any bumps. 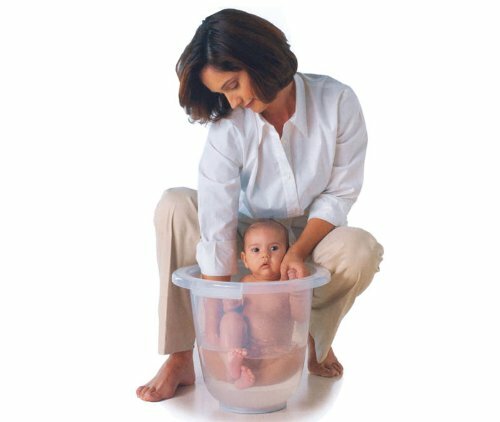 A tummy tub looks like a bucket that you wash your baby in. It has a contoured shape which sits them in the fetal position to mimic baby being back in the womb. This tight enclosed tub can really comfort babies who struggle with standard baths. The upright position can also help to prevent colic and reflux if your baby has digestion issues. Most standard baby bath tubs are made from molded plastic. This makes them sturdy, watertight, durable, lightweight and portable without water. They are also very easy to clean and dry after use. They are usefully more affordable that fabric bath tubs. Fixed shape plastic tubs take up a lot of space and can be harder to store. Modern Baby bath tubs have started using fabrics to support baby whilst bathing. This offer baby a lot more comfort than a hard plastic tub. Fabric baby bath tubs are soft, portable and easier to fit into sinks. Keep them hygienic and prevent mildew by machine washing and drying. Fabric baby baths are great for those who want to minimize using plastic baby products. Convertible Baby Tubs often come with a sling hammock to support newborns. This mesh type fabric is comfortable and contours to baby’s shape. It also you to support baby whilst cleaning them. The holes in the mesh allow the water to fall back into the bath without pooling around baby. Some baby bath are lined with a foam cushioning on top of the plastic. This offers a little more padding to make baby comfortable. Sponge bath insert are another option if your plastic bath doesn’t have any type of padding. This part should provide both comfort and support for baby in the tub. Padded seats offer a lot more comfort for babies. 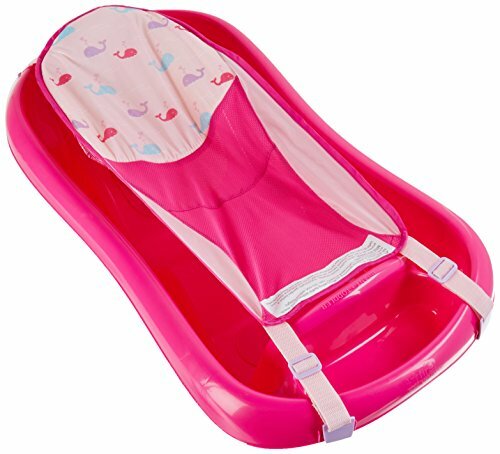 Plastic contoured seats provide support for baby and make it easier to wash baby. You can add your own foam, sponge or mesh insert to a baby tub to provide additional comfort and support. This can then be removed as your baby grows and needs more room. Check for any sharp edges on the seat by running your hand over it. This can rub on baby’s soft skin and cause damage. Look out for contoured seats which support a reclining and seated position. You may have never considered to side or edges of a baby tub as a feature but they do offer you benefits. A curved rim will give the bathtub a safe, comfortable edge for you and baby. The lip will also act as a handle to carry the bath, or hand to store. The edges may also double as an area to hold your cloths and baby wash. Keeping these thing close to hand is important to make bath time safe, quick and efficient. Sloped edges will also minimizes any spills cause by carrying a tub full of water, or emptying it after a bath. A drain plug is a feature of some baby tubs to make them easy to empty. Simply pull on the plug and let the water drain away. This helps to save you straining to push over a heavy bath full off water. It also cuts down any mess from back flow or splashes when emptying. Bottom – allows for easier and faster emptying but can be uncomfortable or easily kicked open by baby. Side – This position avoids the pitfalls of a bottom opening plug. However it requires more maneuvering to empty the bath completely. The base of the bath tub is what will offer all the support. It’s important the base is durable and study. A great feature of the base is an adjustable or contoured area to help it fit easily into a sink. This makes for easy filling and will save your back from bending the wash baby. A large base will give an older baby lots of room to move but it can be very bulky to store. Heat Sensing Strip – This acts like those thermos t-shirts you got in the 80’s. The area senses the heat and changes color at certain temperatures. Usually these will only detect hot temperatures and don’t really indicate if the water it too cold. Digital Display – This type will give you an exact temperature reading. Some deluxe models will even indicate with colors and/or beeps if the temperature is out of a normal range. Let’s look at all the features you should look for to find the best baby bath for your family. Newborn – You may only want a baby bath to use for the first few month until they can support themselves. The best options for this are sink inserts or tummy tubs. Toddler – Investing in a regular or modular baby tub will see you through from birth to toddler-hood. These types have features to adapt the chair for the support needs of new-borns, infants and toddlers. Frequent – You should invest in a baby bath tub which is sturdy and durable. You may also want to consider how easy the bath is to fill, empty and store for ease of use. Occasional – If you’re buying a baby tub for visiting family or traveling then opt for one with portable features. They should be lightweight, easy to store and assemble. New – Baby bath tubs are fairly inexpensive items. You will usually get a great performing tub for around $20. The baths which cost more often have a higher level of comfort or tech features. We recommend investing in safety feature over anything else. Second Hand – Another option is to get a bath second hand for a bargain. First ensure the bath tub has not been recalled by the manufacturer due to safety concerns. 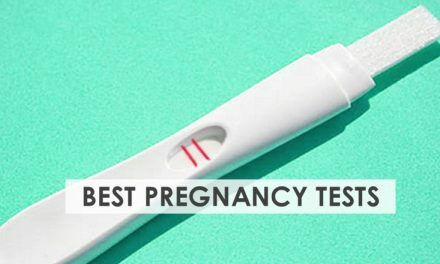 Also check for cracks, breaks or scratches which can a hurt baby and even harbor bacteria. Safety is the most important feature of any baby bath and should never be overlooked. Never invest in style or fancy gadgets over safety, it can result in serious injury for your child. This is the safety feature you should look out for. All baby bath tubs should conform to ASTM F2670-09 Safety Standard for Infant Bath Tubs. Stability – A standard baby bath with a large fixed base will offer you most stability. Baby Baths with a flexible or contoured base are at greater risk of moving in use. Your baby bath should withstand the weight of both the water and your child. Non slip surface – Wet babies are very slippery especially on a smooth plastic surface. A non-slip or textured seat will prevent your baby moving around too much. 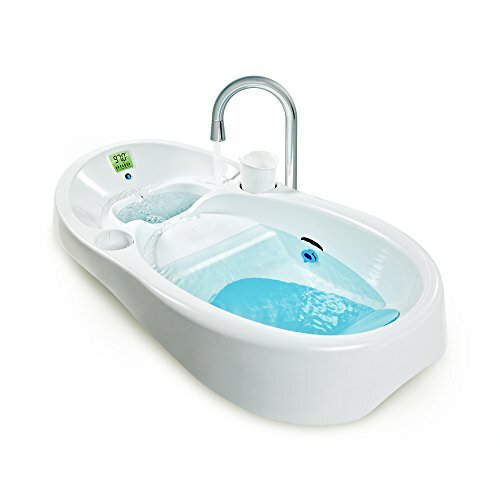 Contours – This is an inbuilt are in the bath which help to position baby and support them from sliding or falling into the water under close supervision. Temperature Check – A built in thermometer will stop you from guessing if the water is ok for your baby. Water which is too hot or cold can be dangerous for you baby. A digital thermometer is best so you know the exact temperature and if the water is cooling down too quickly. Locks – A folding or convertible baby bath should have locking features to stabilize the structure of the bath. Picture yourself in the situation of a wet and wriggly baby in one arm and trying to clean with the other. It make look good or cost little, but is it practical to use often? Set Up – consider how easy the baby bath is to set up and fill. DO you need to make fiddly adjustment to support your baby’s age range? Does the bath allow you to control the depth of the water as well as keeping baby comfortable and safe? Consider if you can wash baby easily with one hand. Size – How much room do you have to set up your baby bath? Are your using a sink or a larger area? A large tub offers room and stability but it can be heavy and hard to store. Portable baby tubs should be positioned correctly as they are not as stable as a regular baby bath tub. Storage – If you are short on space then a folding baby bath or a sink insert is a great space saving option. Standard baby baths can be very bulky to store. Fabric baby bath may need to dry out before storing as they can absorb a lot of water. Portability – Fabric and foldable bath tubs are the best option for moving around in the home. For use out of the house and inflatable tub or sink insert is the best option. Standard bath tubs are best left assembled in your bathroom to for convenient access. Bath time should be a relaxing experience, otherwise it will leave you and baby feeling extremely stressed. 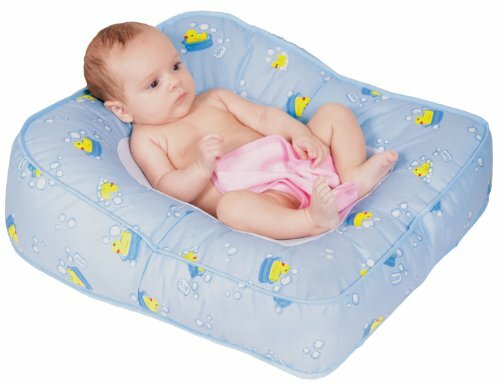 This is how your baby tub can make your baby more comfortable as you wash.
Padded seat – A soft area to sit on is going to be way more comfortable than hard plastic. Position – A contoured recline or a sling is perfect for babies who can’t sit upright. As baby grow an open or contoured seat design can help them to sit and play in comfort. Bucket styles are great for keeping babies of all age upright just like in the womb. This can help to ease the discomforts of reflux or colic for some babies. Space – This is a case of personal preference for your baby. Some will feel more secure in an enclosed tub and others like the floating sensation with larger tubs. Your baby may get cranky quickly if they don’t feel secure or don’t have room to move about. Your baby bath will need to be kept clean and dry so it hygienic for baby to use. Check out these features to cut down on the cleaning workload. Material – Plastic baby baths are the easiest to wipe down. Tubs with contours tend to have areas which harbor stagnant water or suds. Fabric high chairs need to be rinsed and wrung out before leaving to dry. Machine washable – Fabric baby tubs can usually be machine washed and dried. This speeds up the laundering process and keeps it hygienic. However frequent laundering can reduce the tubs durability or make it look worn out quickly. You should never take your child’s safety for granted during bath time. Your child it at greater risk of slips, bumps, scalding or drowning. Always adopt this safety advice when bathing baby. There are no exceptions to this rule, you must always provide adult supervision for your baby in water. Do not leave them even for one minute. A baby can drown within 20 seconds in less than one inch of water. It’s simply not worth the risk. Gather all your bathing supplies before you begin so you don’t need to leave baby’s side. Your baby should always be within arm’s reach. Never assume that your other children can supervise your baby. Water which is either too hot or cold can pose a risk to babies. Your baby’s skin is a lot thinner than an adults and can scald easier. A cold bath is particularly risk for young or premature babies. They find it harder to regulate their temperature and lead to weight loss. We recommend using a bath thermometer to check you bath water is 90-100⁰F. If baby is positioned in a sink near a faucet you should protect it. A faucet can retain heat for a while after poring hot water. It’s also puts you baby at great risk of injury if the slip. A faucet cover will cushion the area and protect delicate fingers from heat. A plastic surface can become very slippery even if you have baby well supported. A tub with a non-slip surface will reduce the risk of baby slipping down. A non-slip surface will also make you more confident about bathing baby and washing them with your free arm. Learning how to resuscitate a baby is a very useful life skill. Hopefully you will never need to use it, but when seconds count it can save lives. These skills are transferable if you baby chokes on a toy or when weaning to solid food. Find out about CPR courses near you. We hope this guide was useful to help you find the right baby tub for you. If you have a favorite tub you want to share with other moms, or baby bathing tips? Then leave a comment below, we’d love to hear from you.